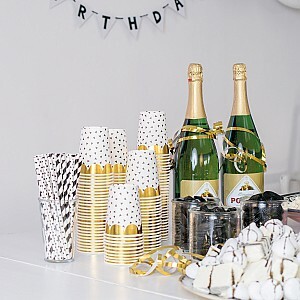 Here you can find straws for birthday parties, celebrations and special occasions! Nice and fun paper straw for the childrens party. Available in many colors and patterns. White / Black. Length 19.5 cm. 24 pcs.